Posted	on Thursday, February 16th, 2017 at 7:39 pm	under Axes & Straight Blades. Love the axes! 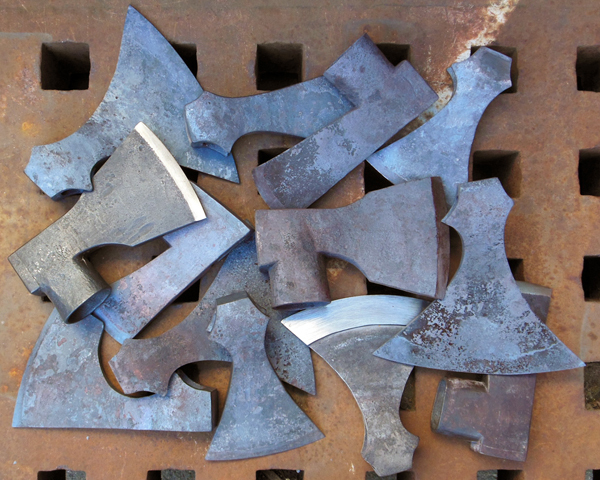 I applaud your recreation of not only the axe styles, but the processes. I would like one of the collared axes if they are still available. Thank you. Hello Kurt: I’m sorry I missed your message – I have a hard time remembering all the places where people send them to me, and I keep forgetting this website. The collared axes that I showed a in the post from February mostly sold but there is one smaller felling axe of that style left. It is almost finished and will list for $375. Would you like me to send you some pictures of it? Yours, Jim.